We help you choose 4 Company names in the order of your preference. Our experts try to get the preferred name approved. A Section-8 Company is a recommended entity for association of persons for promoting art, science, commerce, sports, education, social welfare, charity and such other non- profit purposes. 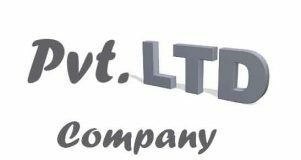 Section 8 company is registered with the Ministry of Corporate Affairs, According to Companies Act,2013 hence it is recognized to have a higher credibility and a better legal standing amongst government Departments and donors. 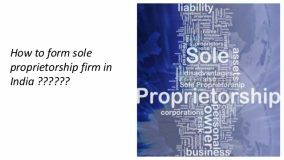 Section 8 company can choose names which contain the privilege words like Society, Foundation, Association, Council, Club, Institute, Organization, Chamber of commerce and more. Section-8 Company generates revenues, expenses, profits and losses. Any profit or any income so generated is utilized towards promoting the charitable objective of the company only. The same cannot beu00a0distributed as dividends. Section 8 company are managed by directors and shareholders. It can be easily transferred by altering the composition of Board of Directors according to the provisions of its MOA and AOA. What is the duration of a Section-8 company? What things should be kept in Mind while selecting a Section-8 Company? It should be precise and meaningful. It should be unique. 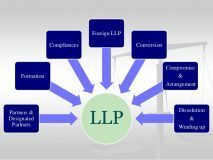 Make sure the name selected is not identical to any registered company, LLP or a trademark. No requirement to bear a suffix like ‘Limited’ or ‘section-8’ in the name. The name should not be offensive or abusive. The name should not be illegal nor should it violate the Emblems and Names (prevention of improper use) Act, 1950. How are profits utilized in a Section-8 company? Any proceeds or profits of the Section-8 company should only be utilized to promote the charitable purpose as mentioned in its memorandum. Any profits accumulated cannot be used to pay-out dividends to its shareholders. In case of any miss appropriation, the central government can take legal actions against the company or issue an order of wind-up.